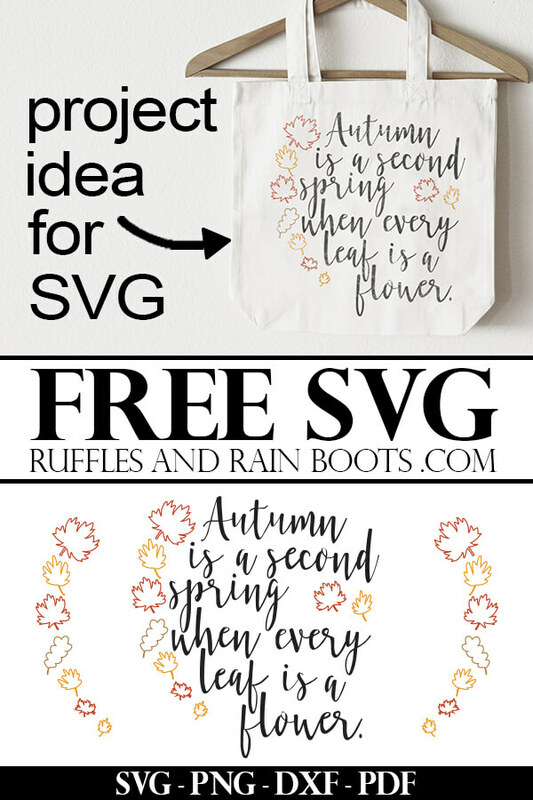 Welcome in the changing seasons with this free Autumn SVG and lettering practice. 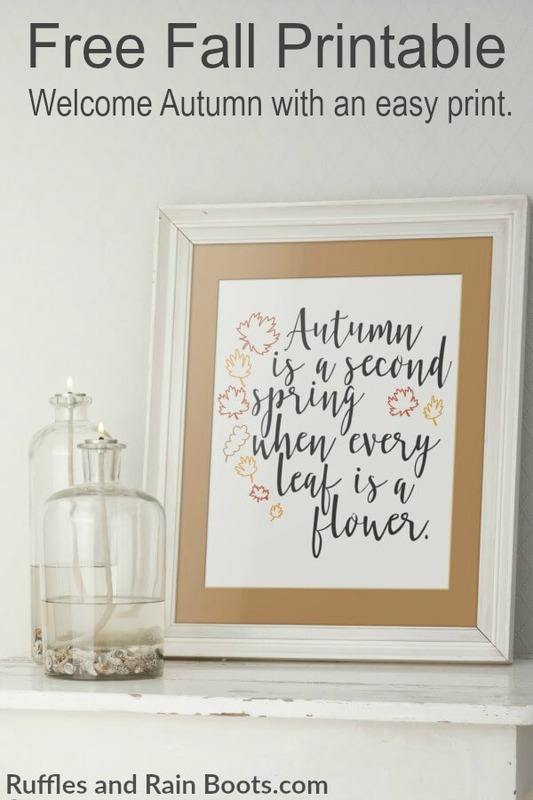 I also have it fully lettered for an instant Fall printable. If you’re new to Ruffles and Rain Boots, you might not know I love to hand letter and share with our readers. Recently, I created this Fall hand lettering practice and printable to welcome in the new season. 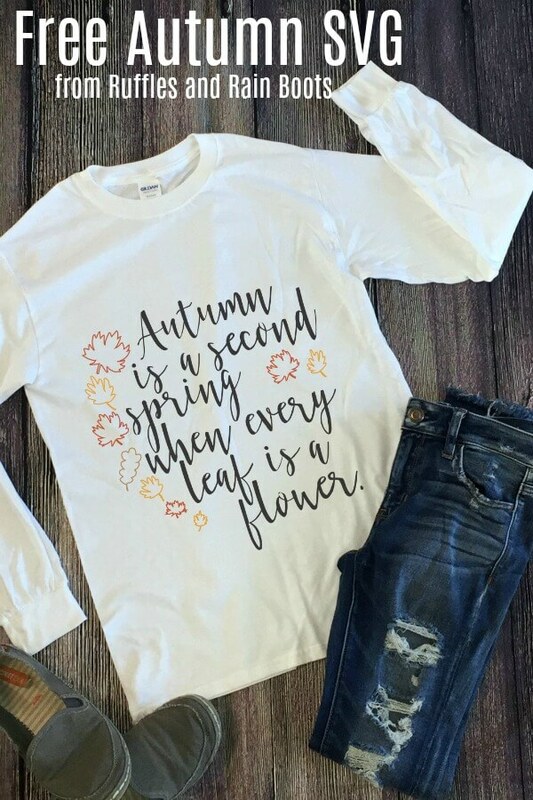 Because I absolutely LOVE this quote, I also turned it into a free Autumn SVG for my fellow digital crafters. It’s one of those quotes you can use on so many items – wood signs, tote bags, on an entryway mirror… I could go on and on! The file will contain SVG, PNG, and DXF files as well as a print in case you’d like to display it for a bit of instant Fall decor. Speaking of easy, anyone can add an instant Fall feel by displaying the print included in the file. Just print the PDF, pop it into a frame you have (or hang it from a wooden pants hanger). If you like the farmhouse style, you could also attach a pretty binder clip to this free fall printable and hang it from a ready hook. 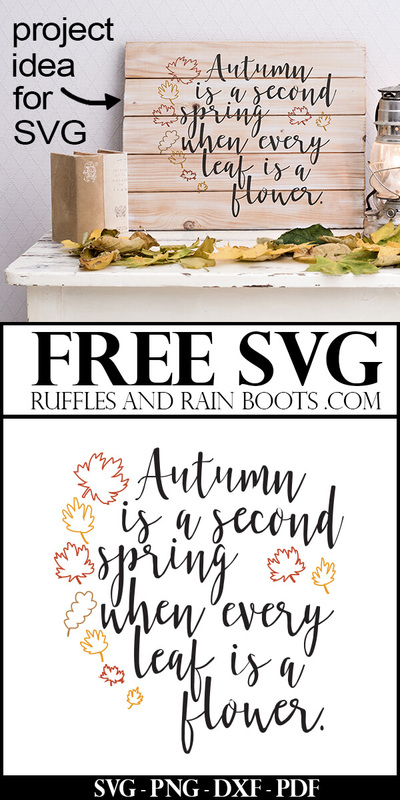 To access our free SVG files, you’ll need to be part of the in-crowd who has access to the full Ruffles and Rain Boots free library. Get access now by signing up to our once-weekly email list.